In a small Adirondack Mountain town, secrets are closely guarded. And outsiders with crazy ideas are not welcome. So Police Chief Frank Bennett has his hands full when a group of environmental activists shows up in Trout Run, New York, trying to close down Raging Rapids, a popular tourist attraction. Frank thinks they're all noise. Until their leader turns up with a bullet in his heart. Now Frank must figure out why this group targeted Trout Run. And how they're connected to a feral family who lives off the grid. A dying invalid...a house full of treasures...a family haunted by tragedy. 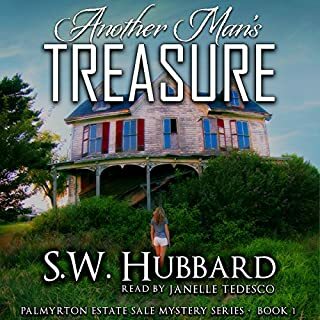 Mystery and heartbreak await estate sale organizer Audrey Nealon when she accepts a lucrative new job in a posh New Jersey town. 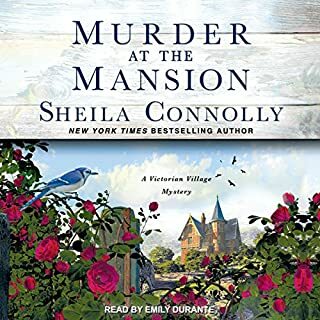 Eager to settle their mother's estate and close the door on their elegant family home, the Eskew children hire Audrey to run an estate sale as their mother lies dying, tended by a home health aide. Every day Audrey works in the house, she discovers another valuable artwork and another family secret. How did the adored oldest son die? What's wrong with the strange younger sister? Who is making off with rare books, antique silver, and vintage ball gowns? Most of all, how reliable are the dying woman's deathbed ramblings? As Audrey learns about the Eskew family's tortured past, she's forced to confront her own feelings about marriage and children. And when a murderer strikes, Audrey's sense of justice compels her to defend the defenseless, no matter the risk to herself. 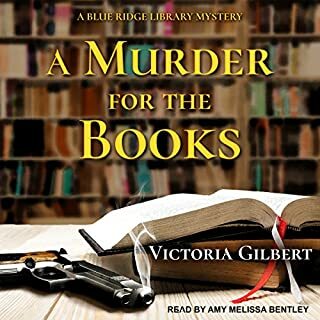 Fans of Ninie Hammon and C. J. Lyons will enjoy this twist-ending mystery with a strong female sleuth and plenty of antiques, dogs, and humor. Favorite Book of the Series! I loved book one in this series; I liked book two; Book three just curled my toes! This was a really good mystery with a narrator that could do no wrong. The intersecting story lines and the cast of characters were well-written and very well-narrated. I loved that Ty and his family had a role in this story (not so much in book two.) I loved that Audrey and Sean finally get together. I. Loved. Every. Little. Thing. I think if anything was missing it's with Audrey's Dad. In book one, he had a stroke. He still has traces of it in his speech in this book but it wasn't explained. I knew why he had the vocal oddity so I hope the narrator does not get zinged for that. Other than that, after listening to books one and two, sit back and enjoy all of the pieces coming together in this listen. Both the author and narrator are new to me on this book. I loved all of the suspense in this book and found it to be interesting along with thrilling. This book is totally original and deals with many real life issues in a psychologically thrilling manner with some humor interspersed into it and a murder too. The narrator did a fantastic performance with the various voices she did. This book is part of a series, but I found it to be an awesome standalone listen. I was voluntarily provided with this review copy audiobook at no charge by the author, narrator, and/or publisher. What made the experience of listening to This Bitter Treasure the most enjoyable? 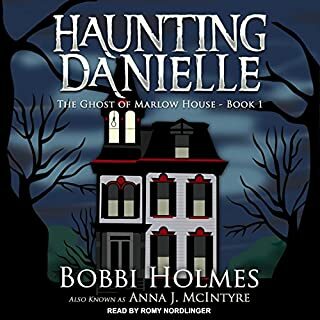 I've listened to the previous two audio books in the Palmyrton Estate Sales series. 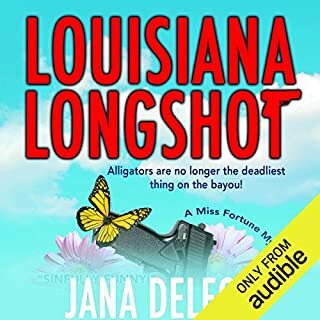 The plot, the writing and the spoken talent of Janelle Tedesco are what keep bringing me back! The scene that sticks in my head is when the little girl and her mother are waiting and find a young woman in a bathroom stall. When Ms. Tadesco performs the little girl screaming it caught my attention! Another was when the non mother takes three children to the amusement park. You get a strong sense of her panic. Oh, there is also the thefts of items being inventoried... Oh, then the murder! There are a lot of potential suspects. I look at books as a whole. This kept me entertained and kept me guessing! If there is a higher complement, I am at a loss to express it. I'm maybe one of the few guys reviewing these titles. Chick or Guy,... Each is worth a listen. Well written, developed mystery, very well voiced by the narrator. And in my opinion, worth your investment in both credits and listening time. 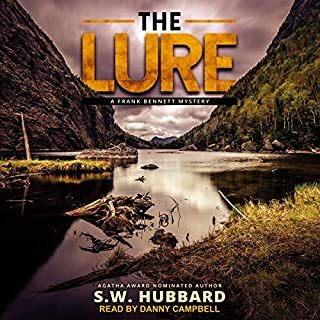 Thanks for the opportunity to listen and review this audio book! This review copy audiobook was provided by the author at no cost. Which I can only assume was voluntary on their part. I am happy to give my honest review of it. I think I'm suppose to mention how reviewing this was voluntary on my part too. I could not get into this book, the narration is slow all through out the book.. I skipped up to other chapters trying to get to some thing I could grab a hold of but could not .. sorry I could not tell you the story due to sleepy narration..
What can I say: I loved it just as much as the first two sequels. The story is firmly rooted in today’s society, with all the problems we are confronted with on a daily basis. There are lots of references to current events in this book, and the problems mentioned are certainly a reality for a lot of people. I’ve mentioned it in my previous reviews, but it needs to be said again: I totally love the language. It is so refreshingly ’normal‘, which is one huge factor in making the characters and the story so very convincing. Plus: there is no foul language, no swearing of any kind– it’s like a holiday, because lots of authors seem to think that their stories are more authentic if they use a lot of swearing. Let me tell you: swearing and foul language don’t add any authenticity to a story, at least not in the world I live in. I don’t know anybody who swears a lot, and I don’t want to, either. Janelle Tedesco again excels in narrating the story. Not only does she manage to give each character a distinctive voice, her accent and convincing speech impediment (when narrating Audrey’s father) are masterfully done. I was so engrossed that I had to chide myself and to deliberately switch the audio off in order to get some much needed sleep. It is a ‚page turner‘, and I sincerely hope there’ll be more sequels, cause the characters feel like good friends. Another fabulous read by S.W. Hubbard! S.W. Hubbard excels at blending together intricate plots, with many characters and themes that touch and slide apart, making you think the book is less organized until the many pieces come together to weave into an amazing tapestry of a big picture that just awe you. While the previous two books have a distinct theme, this book deals with issues of family as well as drugs. The message found in the book is very powerful. The characters also really come to life and show strong development. I do highly recommend that you read the first and second books before you read this because each book builds on the previous. Not only will you not follow things as well, but you'll get spoilers if you decide to go back and read the earlier books after reading this. The narrator also does a fantastic job of creating the characters and carrying their features in her voice. I can't recommend the book highly enough! This series gets better and better with each book. The characters continue to grow and develop. The plot is fresh and original , with the right amount of drama and suspense. I love this series. I've now listened to all three books in the series. Every book was an engrossing mystery that I just had to keep listening to. I thought the near it or did an excellent job with voicing different characters. The only problem I had with the books is actually the main character, Audrey. I'm sure it's just me, but I found her to have an extremely annoying personality. It was as if she constantly jumped to the wrong conclusion at every turn. Her insecurities and dysfunctions due to a tragic and difficult childhood became tedious by the third book. Her willingness to look over any type of indiscretion or mistake by her coworkers yet think that the guy that was trying to help her was guilty until proven innocent every time also got tiring. But, again, the mystery and narration was absolutely great. Could not finish this book -the narrator's impression of Jill's voice was so annoying I had to stop listening-it sounded like a poor impression of a 5 year old rather than an adult. This is the first book I have purchased by this author and narrator and will not try anymore. If you could sum up This Bitter Treasure in three words, what would they be? Which character – as performed by Janelle Tedesco – was your favorite? really good story line as with the other two books it was very good. ".the squeak of the swing's chain." Audrey, who runs the small house clearance business, Another Man's Treasure, has good reason to be pleased to be called in to catalogue the contents of a prosperously well stocked, spacious 1960s home packed full of artwork, china and first edition books. The sale should bring her a large commission, especially welcome as she and fiancée Sean need the extra money to purchase their own first home together. Just one problem: the current owner, though very old and sick, is still alive, just. It is the daughter who has requested the inventory and is impatient for the sale to go ahead as soon as possible. Although reluctant to work in the house before the mother's death, Audrey really needs that large commission. But something feels wrong: a couple of valuable items go missing. Then the owner is brutally killed. The marvellous Janelle Tedesco not only takes on the personality of Audrey, adding depth and feeling by her reading, but also convincingly voices all of the other characters, giving each their own distinct lives. Her performance is a pleasure to hear, never abrasive to the ear but always well modulated and clearly delivered. And always perfectly fitting the text. Superb, as always. I was gifted my copy of this book by the rights holder, via Audiobook Boom. Thank you so much. This whole series is totally delightful. The characterisations are so good that throughout this sad and bizarre tale, it always feels real as the main protagonists are fully fleshed, living, feeling people. 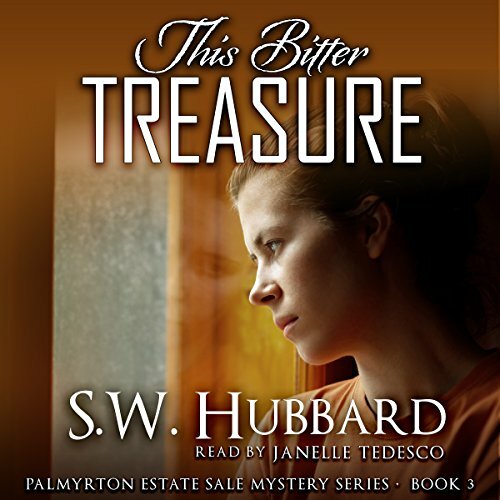 The third of the Palmyrton Estate Sale stories, This Bitter Treasure is completely standalone, any background information easily gleaned from the ongoing text, although part of the pleasure of these books is following the life changes of Audrey, Ty and Jill as seen through the eyes of Audrey herself. Warm, human, and an intriguing mystery yet without bad language, I highly recommend it. This series is a really good read with just the right amount of twists and mysteries.